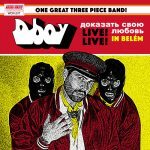 DBOY: Prove Your Love — Live in Belem — Back in the late ’80s, surrounded with a Perth of immaculate jangle pop, I always enjoyed the noisy trashy garage stuff — ’80s indie rock looking back to the more extreme psychedelic pop rock’n’roll of the ’60s, sounding like it was recorded in a cardboard box for ninety dollars, and you could hear every penny. And it rocked like nothing else, and that’s 100% of the point. This album sounds like that stuff. Vocal through a guitar amp and all. And they put a fake screaming audience on between tracks. Their site is excessively quirky. The record is good, and that you can’t argue with. I enjoyed this one. 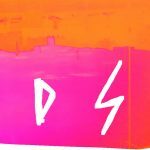 DISTANT STARS: The Way Things Work (Detonic) — abrasive minimal synth, driven by the correct and righteous urge to pump up the MS-20 and sing and shriek over it. I’m not sure how to break it to Detonic that “Indulge” isn’t actually going to be a sure-fire Eurodisco smash hit — though it is a catchy little lump of blare. 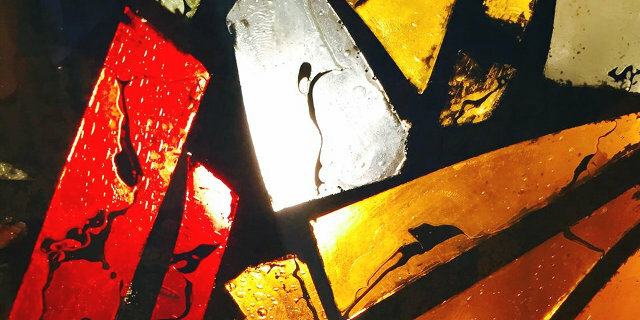 Out 14 February. 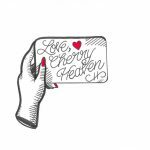 CHERRY HEAVEN: Love, Cherry Heaven — shoegazy indie rock with bursts of drum machine. This time around they’re sounding much as the first album, but somehow wearier, though no less impassioned. First two tracks rock, after that the beats come out. The keyboard wash on closers “Shine” (my favourite) and “Fall” makes the album. This is a good one and they’ve a couple of singles earlier last year too.